1.Undermine the Reputation of Pakistan Army & Inter-Services Intelligence.Its is a joint operation or PSYOPS conducted in collaboration with Mossad, the Israeli Intelligence Agency. The Evil School of Thought! The start of military operation ZarbEAzb, June 2014 against the terrorists in North Waziristan took Pakistan into the last round against the terrorism. The Pakistan Army is steadily clearing all the areas where terrorists have established major footholds. It has been months; since operation has started Pakistan Army has achieved massive success, by destroying many weapon factories killing more than 1000 terrorists and destroying many weapon factories. 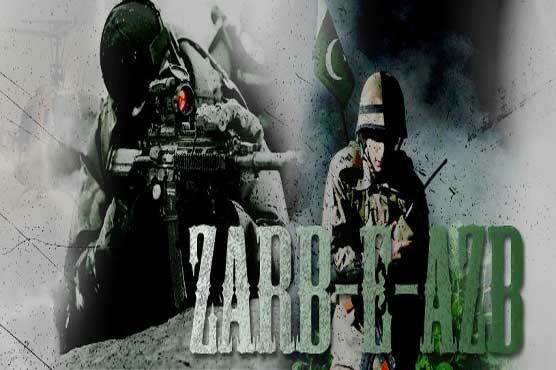 Zarb-e-Azb is progressing successfully, and it has been expected that operation will end up in rooting up terrorism from Pakistan. But.. But the question is that How eliminating TTP, or killing all the terrorists would eliminate terrorism from Pakistan? The answer might be No. because crushing Taliban’s is not the only solution. The need of hour is to eliminate the mindset that has been working behind TTP, it’s not just about Tehreek-e-Taliban Pakistan, it’s about “what” is behind Tehreek-e-Taliban Pakistan, which theory or which perspective has driven Tehreek-e-Taliban Pakistan to such violence that they started using religion for their activities. It’s not about TTP, it’s about extremism, in our society. Now, the question is who is promoting that extremism? What comes to your mind? Mullah! Yes. Mullah and their Madrissa’s are the extremist factories in Pakistan. Clearly, Mullahs have hijacked our religion. They have made a wretched rendition of Islam that fits neither in the past nor in the present. They modified religion for their own purposes. Mullahs assumed control, politicized and adulterated religion, and brought it to this peculiar stage that it is in now. The presence of a Mullah relies on upon weak debates like how covered/veiled a lady ought to be, how long Muslims must have beard, ladies should not drive, girls should not be educated and others of same sort. These Mullahs sold out their God and headed his followers off track. TTP is a Tehreek, pounding Tehreek won’t have any effect, unless what that is behind TTP is smashed. Terrorism will be disposed of, if that school of thought is dispensed with that is raising those brains. Unlawful groups, Madrissa’s, jamats, still get awards underneath money related help. To kill the bases of terrorism, these groups ought to be banned from promoting feeling of violence and roughness against state. There ought to be some check about these Deeni Madrissa’s, and they ought to be observed in order to recognize their fund and to verify that they’re not promoting terrorism. So for making Pakistan a terror free country, we must take a step to eradicate the actual cause of terrorism and that means to check around, in our surroundings, about the extremist Mullah’s and madrissa’s. Zarb-e-Azb is a fight, and we have to stand with our military. 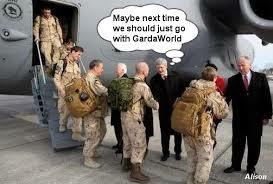 This is a very important bust by Pakistan’s security agencies who have revealed that another firm like Blackwater called “GardaWorld” is involved in dangerous covert activities. Its owners paid Rs. 2 million as bribe to officials in Security and Exchange Commission of Pakistan to get their notorious intelligence agency registered as a “business consultancy firm”. Read this report by S.A.N.A. for detailed analysis. It is revealed in a secret report that Security and Exchange Commission of Pakistan (SECP) has registered the notorious US intelligence and security agency Guarda World (GW) working in Iraq, Afghanistan and other countries of the world, as a business consultancy firm. According to the sources the agency after paying millions of rupees as bribery through a law firm of Islamabad secured the membership of SECP. GW is working in the field of security in Pakistan but the work of said agency is also termed dangerous for the country like Black Water. It is also revealed that after the information of deporting the Country Manager of the agency Anthoni Gerald Maganti, he is still present in the Pakistan. When Joint Secretary (Security) Shabbir Ahmed, Deputy Secretary (Security) Abdul Razzaq and Media Director Nawazish Ali Asim of the Interior Ministry were contacted for their take to know about the activities and registration, they did not attend the call of “SANA” and every time the assistant of deputy secretary informed that DS Abdul Razzaq was not present in the office; meanwhile the Spokesperson of the SECP Shakil Chauhdry confirmed to “SANA” that the said agency is registered with the SECP as a consultancy firm, adding that all the prerequisites were fulfilled prior to the registration of the firm. He further stated that there is no need of obtaining the security clearance certificate from the Interior Ministry for issuing the registration to the said firm. He further said that security clearance from the interior ministry is only required for the firms, which are providing security services, adding that the said firm is registered on the names of Mehwish Malik and M. Raza Amir. South Asian News Agency (SANA) has obtained a copy of the secret documents, which were presented to the security officials responsible for dealing with national security of the country, it is said that the “Guarda World” is an intelligence and security agency, which has offices in US and Britain; meanwhile the said agency is working in Iraq, Afghanistan and other countries of the world. According to the report the said agency had secured the registration through Khosa Law Firm, which has its office in F-8 Markaz, and (GW) secured the registration of SECP with the name of Guarda World (GW) Pakistan Private Limited (Universal Corporate Registration Number 0067218) on 11th of August 2008 illegally. For securing the registration the agency paid two million rupees to this law firm and secured the registration of SECP with the undue support of concerned officers of the SECP. According to the report the Guarda World did not contact Interior Ministry or any other security agency of Pakistan for securing the clearance certificate for obtaining the registration of SECP. On the other hand, the owner of the said agency is MD Pete Dordal is a former CIA officer and country managers who are running the said company in Pakistan are citizens of US and Britain. According to the report Anthoni Gerald Maganti and Daniel Methew are running the company in Pakistan and these persons are working on business visas instead of work permit, which has been declared illegal. According to the report the visa of Country Manager Anthoni Gerald Maganti was expired on 25th March 2010, but he is still present in Islamabad illegally. According to the reports he was deported by Pakistani authorities but reliable sources said that he is still present in Pakistan and moving freely. It is worth mentioning here that some private TV channels had reported that Country Manager Anthoni Gerald Maganti was deported for the country but according to the report he is still present in Islamabad. It is also said in the report that if the said agency is a business agency than why it had not shown its business and how much tax it has paid in Pakistan? Meanwhile the report suggests that the agency has paid no single penny in form of tax to Pakistani authorities. Federal Board of Revenue (FBR) was also informed in written about the situation that the GW Pakistan, which has its office at House No- 12, St. 18 of F-7/2 Sector, the FBR kept mum over the issue and not taken any action against the agency. It is said in the report that Pakistan Army retired majors, Raja Shehar Yar and Fayyaz are working with (GW); meanwhile another source disclosed that the said retired majors of army were sent home after court martial. According to the sources the said persons are with the agency with the help and support of some of the relatives who are part of the government and with the support of these persons the Country Manager Anthoni Gerald Maganti is present in Pakistan illegally. The suspicious activities of the agency are termed against the sovereignty of the country and the activities of the agency are observed in Defense area of Peshawar; instead of the fact that the agency has no business there. According to the report the agency has continuing its commercial activities in residential area of F-7/2 Sector for which no NOC from any institution of Pakistan has been obtained. It is also disclosed that more than 10 business clients are attached with the GW, which include National Democratic Institute F-7 Islamabad, Deloitte FES Sector F-6 Islamabad, S Chambers I-9 Industrial Area, DFID through British High Commission Islamabad, Rules Rice International, BAE, VFS Global G-9 Islamabad, Security 2000 Karachi, Radical Middle Visa International and other business and NGOs included in the list. According to the report the accord which is singed for obtaining employment of agency, the employees would be bound to follow the rules of England and Vales. The foreign agency in 2009 had paid the amount of 80 million to its local partner Security 2000 Karachi; meanwhile the agency had paid this money for provision of security guards to GW customers during their Pakistani tour. According to the report the said agency is working in the filed of security and provides security to the former officers of Britain and US during their Pakistani visits. It is also said in the report that in January and February 2010 the security training for DFID was held in British High Commission in which the participants were asked to get photographs of Islamabad Airport, Margallah Road, Kashmir Highway, Islamabad Highway and Constitution Avenue; meanwhile later on these photographs were obtained.